Once you enter the market for a truly well made leather photography album or leather portfolio album you will quickly realize that there isn't much out there that isn't a disappointment, and not at all what it's represented to be. We craft all of our products from the best materials available in an effort to craft the highest quality products possible. Our Leather Portfolio Albums, and our large leather photo albums are well known to be the best made albums available today. We'll be happy to discuss whatever your needs may be, and work out an album design that will accommodate your purpose, or current project's needs. Please feel free to give us a call anytime. 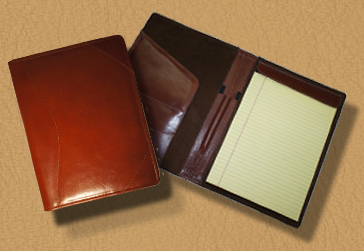 Are you currently in need of a handsome leather binder to represent you products or services to your customers? We can create a personalized leather presentation portfolio crafted from the leathers of your choice with your logo, art work, or other personalization carefully fixed upon the cover leather. We craft beautiful custom presentation portfolios for any purpose, designed to reflect the personality of your business. Every custom leather portfolio that leaves our doors is crafted to our customers specifications, with an aim to serve whatever their particular purpose may require. Your custom leather portfolio may be assembled as an 8.5 X 11 photo portfolio, or a 12 x 12 leather album. We can integrate whatever type of pages that you like in your book. Optional document flaps may be added for contracts or printed sales material, a pen loop, or whatever you may find necessary to accomplish your sales goals. Please feel free to contact us anytime to discuss the possibilites for your personalized leather presentation portfolio, and give your sales team an elegant edge above the competition. 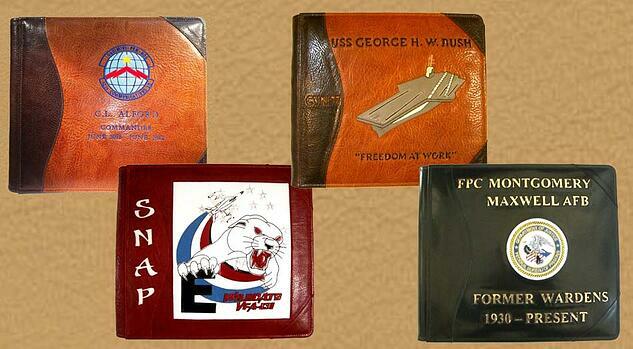 Custom military photo albums and guestbooks. If you are on the lookout for an exceptionally crafted military leather photo album or leather guest book we've got you covered. 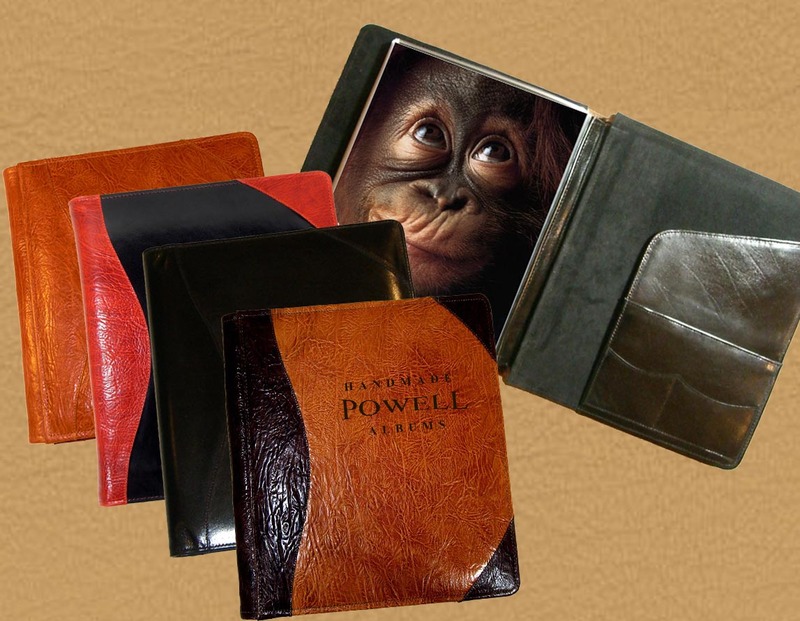 Powell Leather is the premier choice for Army photo albums, Air Force photo albums, Coast Guard photo albums, Marine photo albums, and Navy photo albums. We handcraft beautiful custom military photo albums and guest books for all branches of the military, and would be pleased to discuss any design that you may have in mind for your book. Your seal, emblem, or any artwork that you like may be carefully fixed upon the cover leather in order to accommodate your purpose for the personalized book. If you are in need of a guestbook for a specific application, one may be crafted with a customized page layout to perform whatever task that may be necessary. Please feel free to give us a call anytime to discuss how we might custom craft a military guestbook or photo album for you. We want to hear you say that this is the best leather pad portfolio that you've ever had.... even 20 years from now! No matter whether it's in a professional setting, or simply a trip to the coffee shop to get a little work done, the handsome Powell Leather letter pad portfolio makes an impressive statement. We use only the the finest materials available to handcraft our leather pad portfolios to a standard above that of all others available on the market today. You may choose the leather and finish from which we will assemble your leather padfolio, and decide which options you might prefer for us to integrate into your own personal design. 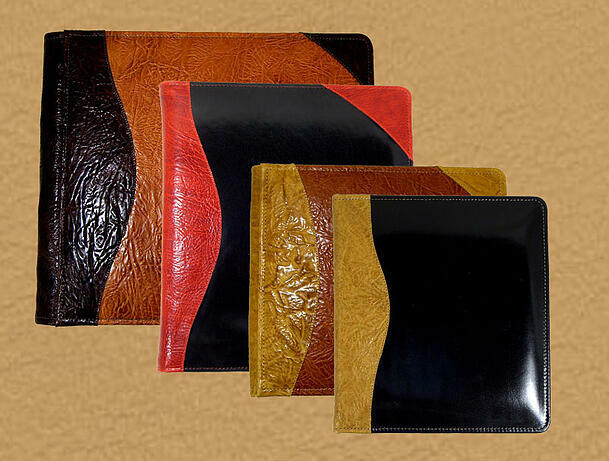 The cover leather of your portfollio may be personalized with any design upon the cover leather. We employ several techniques to reproduce the artwork that is provided to us by our customers, so it's always a good idea to give us a call to discuss what it is that you've got in mind for yours to determine which method will be best for you. Please feel free to give us a call anytime, and we'll be pleased to discuss how we might craft a leather business portfolio for you.